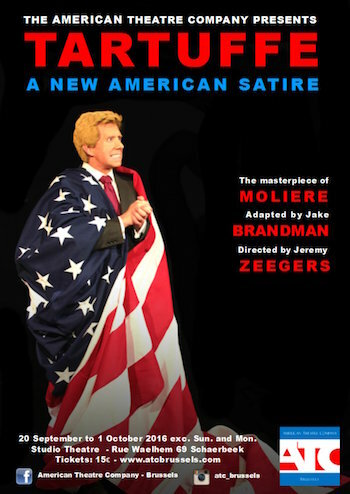 Tartuffe: A New American Satire is an original adaptation of Molière’s masterful play about hypocrisy. It is written by Jake Brandman, directed by Jeremy Zeegers and produced by the American Theatre Company. This romp of a comedy will be performed in September 2016 during the heat of the American presidential election. Any similarity with current events is attributable to the genius of Molière and the enduring nature of human flaws. This entry was posted in 2016-2017, American Theatre Company on 20 September, 2015 by portal_admin. 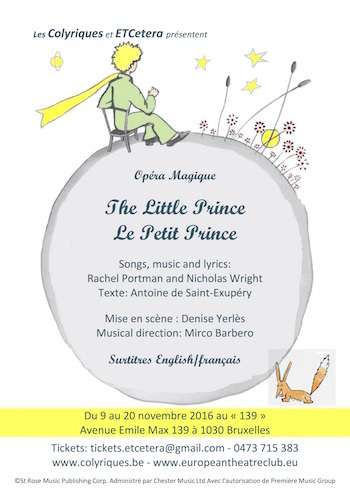 ETCetera, together with Les Colyriques, a well known Brussels musical theatre company, presents its next musical production, The Little Prince, a “Magic Opera” based on the famous book by Antoine de St-Exupéry, “Le Petit Prince”. Rachel Portman and Nicholas Wright wrote the songs, music and lyrics. The book and the opera put up themes of flying, friendship, foxes, faithfulness and flowers, with an array of amazing human and non-human characters, and an appeal that is at least as much to adults as to children. Les Colyriques and ETCetera have assembled some wonderful actors and singers, including both an adults’ and a children’s chorus, and some brilliant soloists and musicians. 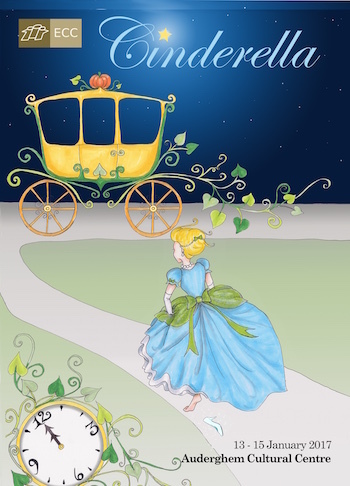 The singing is in English (with French surtitles), with some narrative passages taken from the original book in French (with English surtitles). Theatre: Le “139”, Avenue Emile Max 139, 1030 Brussels. Sandwiches and soup available in the interval. This entry was posted in 2016-2017, ETCetera on 9 November, 2015 by portal_admin. 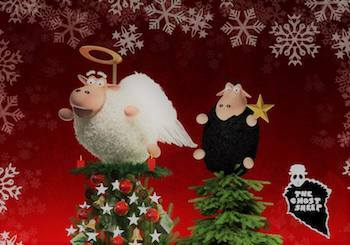 Get ready for two very different evenings full of Christmas references, jingly hats, mince pies and mulled wine to boot: the ATC Improv crew will wow you with their skills, The Ghost Sheep will unveil their newest format, The Bookends will provide some late night entertainment and our special guests are Jochem Meijer, our Guest Sheep from Amsterdam and Tom Tollenare, our pianomaster! So move your Christmas parties to the Warehouse and we’ll celebrate the holiday season together! 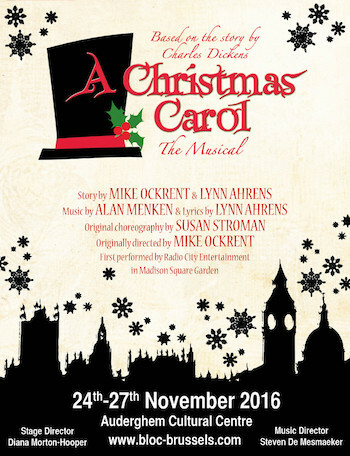 This entry was posted in 2016-2017, American Theatre Company on 17 December, 2015 by portal_admin. This entry was posted in 2016-2017, ECC Brussels on 13 January, 2016 by portal_admin.